Scientists have recently discovered toxic flame retardant chemical (PBDEs) more than six miles below the surface of the ocean. Apparently humankind’s use of toxic chemicals has left an awfully deep footprint. 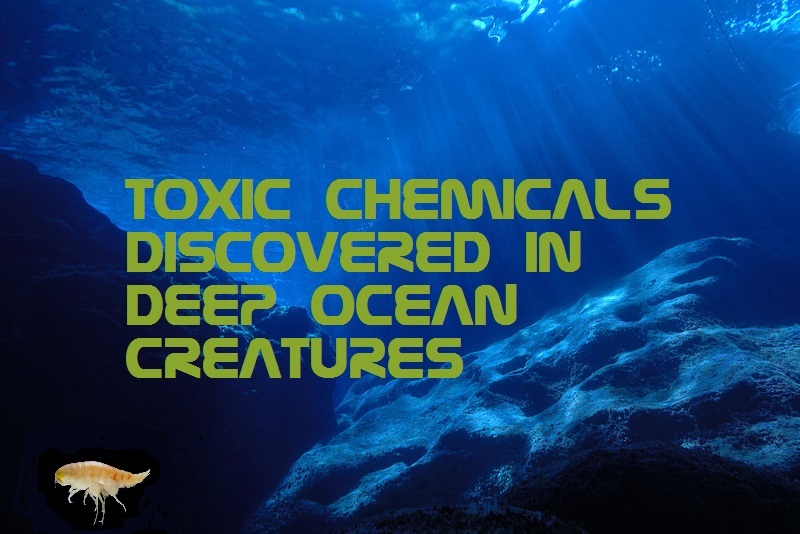 …veteran deep-water scientists are shocked by the latest discovery at the very bottom of the sea: toxic pollution – lots of it. Humans have left a “footprint in the deepest places in the world,” said study co-author Alan Jamieson of Britain’s Newcastle University. Cancer and other health problems in animals have been linked to PCBs, and their manufacture was phased out decades ago. The flame retardants found at high levels in the Kermadec amphipods belong to a class of chemicals called PBDEs. Lab tests have tied PBDEs to thyroid problems, and many countries are phasing out their use.